← 87. Archerfield – Dirleton Links. 13 Sep 2018. Murrayshall is a nice parkland course, but its hotel partner course (Lynedoch) is much better value. The Murrayshall estate, first built in 1664, was established as a commercially successful Country House hotel in the early 1970s, following the sale of the estate by the Norrie-Millar family, of whom Francis Norrie-Millar was one of the key instrumentalists in building the General Accident insurance company in nearby Perth, only 3 miles to the west of Murrayshall. 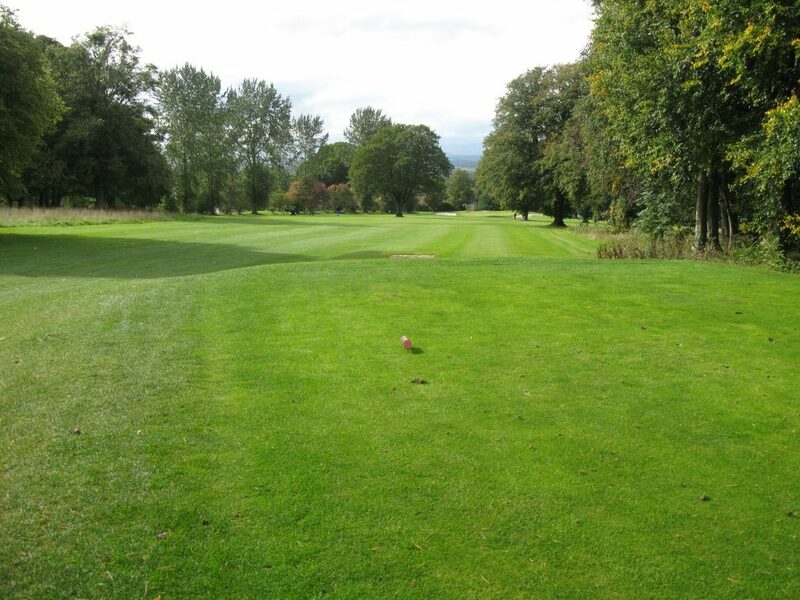 The esteemed golf architect Hamilton J Strutt (grandson of James Braid’s foreman) designed this Championship course in the 70s, and returned to design the Lynedoch course which opened in 2000. The Murrayshall course is indeed a fine example of Strutt crafting a course amidst mature parkland, leaving an impression that the course has been there for a hundred years. This is almost completely true except for the bland and exposed par 4 13th hole, which was oddly the SI1 hole (more of later). 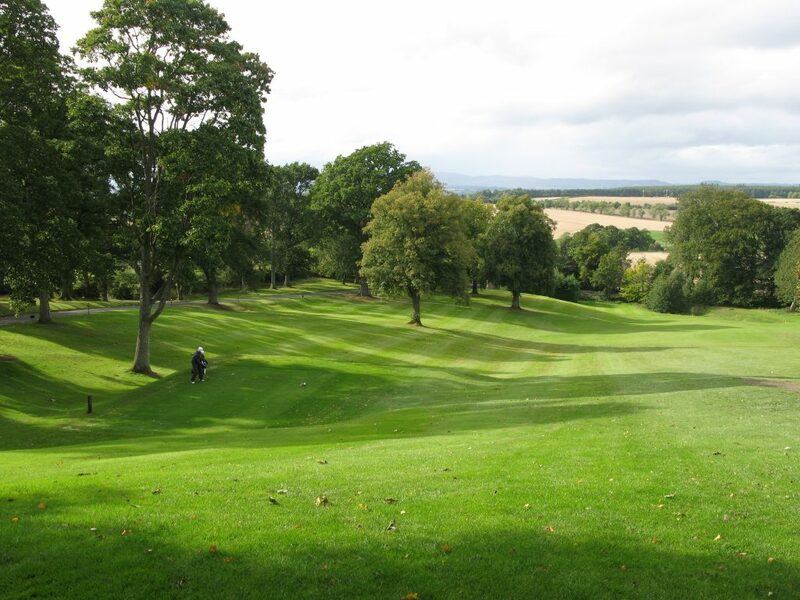 Whereas the sister Lynedoch course is partly woodland, Murrayshall is exclusively parkland. I had previously played the Lynedoch track and had been very impressed (read my blog here). I was therefore greatly looking forward to playing the hotel’s premium course, but must admit that I don’t think the higher price is worth it is versus its shorter neighbour. It’s still a very nice course, with some outstanding countryside views, nice greens and good bunkering; but, other than being a longer course, it lacked the guile of its smaller sister course. 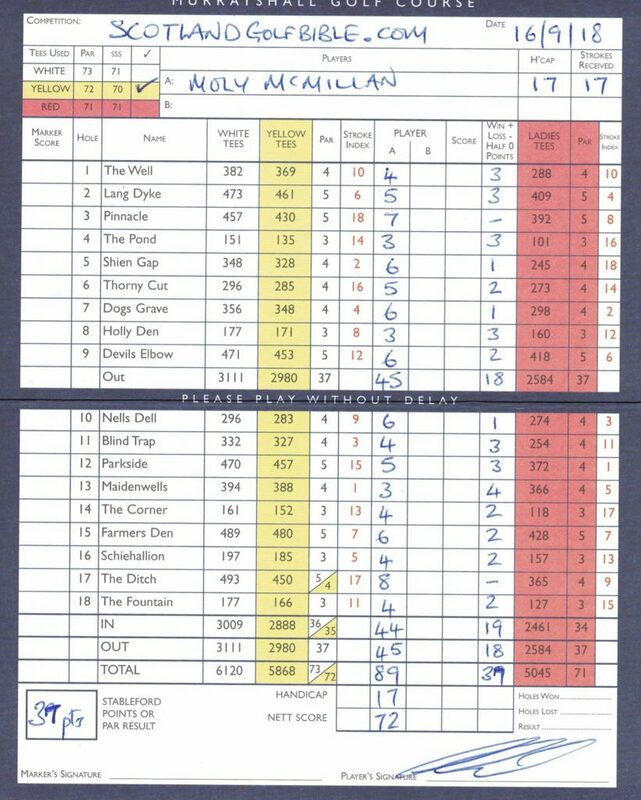 The course was in good condition when I played and I had a nice round of 89, for 37 stableford points (off 17); including a birdie at the 13th, the stoke index 1 hole, which was one of the more bland holes played towards a local farmyard. My score also reflects the fairly open fairways and relatively accessible surrounds of the trees. Other notable holes were the stretch of 6th, 7th and 8th, a really nice set of challenges, with a reachable par 4, a difficult par 4, and a tricky par 3. 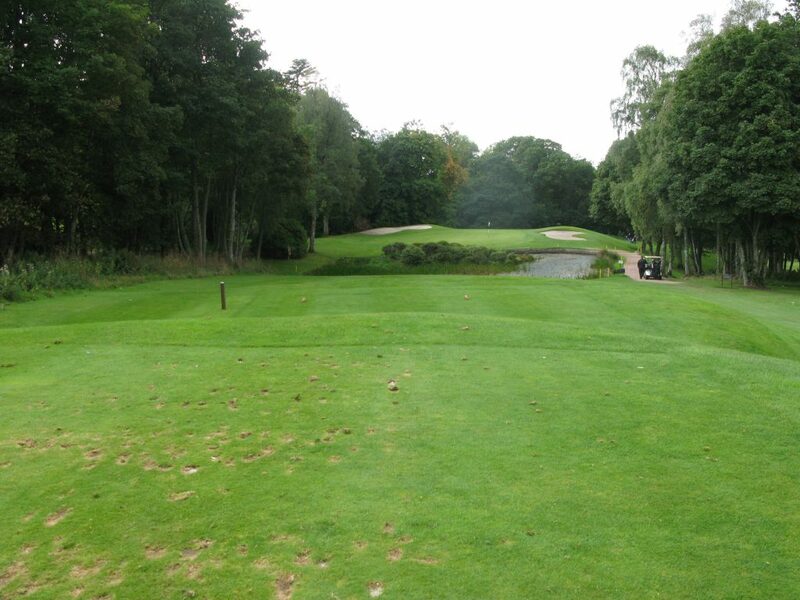 Also noteworthy is the mix holes, with five par 5s and five par 3s, its an odd mix. Unfortunately, the round at Murrayshall was the slowest I’ve played for several years, at around 4.5 hours. Having caught up with the 4-ball in front, on hole 2, which actually turned out to be the last group of about 10 groups making up a society day, we then were delayed at about 5 minutes per hole for the remained of the round! I’m writing this, to give context to my “value” assessment. How should an assessment be dictated by pace of play? Well, if I hadn’t been doing a blog, we would have walked in after 12 holes. It was anything but value for money. How many times have you heard “we would let you through, but it’s the group ahead holding us up” – I refer everyone to the Etiquette section of the rules of golf, which clearly recommends allowing a faster grouping through, regardless of circumstances. It is worth playing, but perhaps check whether a society is playing in front! Moly McMillan lives in Broughty Ferry on the east coast of Scotland. He is a self employed business consultant and devotes some of his time to achieving his life long ambition - to play every golf hole in Scotland, every single one! 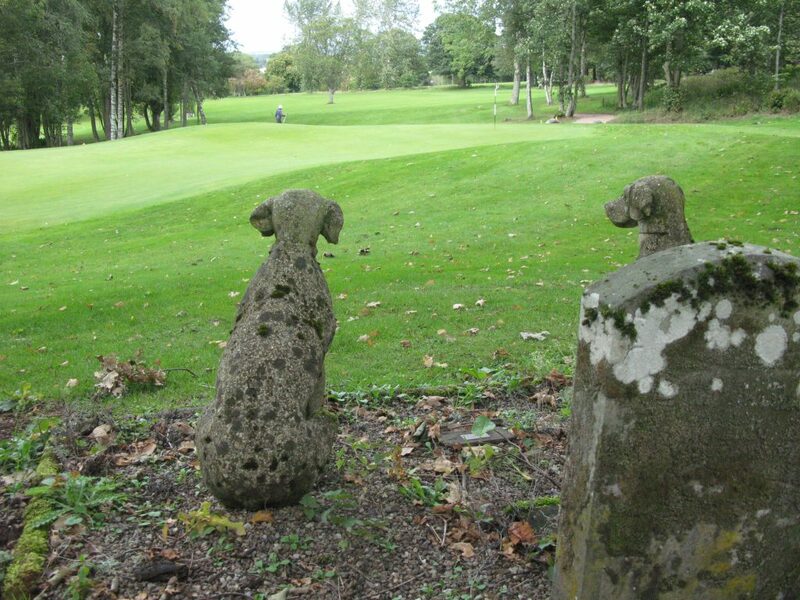 This entry was posted in 18 holes, 1946 - 1999, 3 star, 4 star, Commercial, Course Architech, Course Owned By, Course Quality, Course Type, Hamilton J Stutt, Holes, Overall Value, Parkland, Perthshire, Price, Region, When Course Established, £40 - £59. Bookmark the permalink.